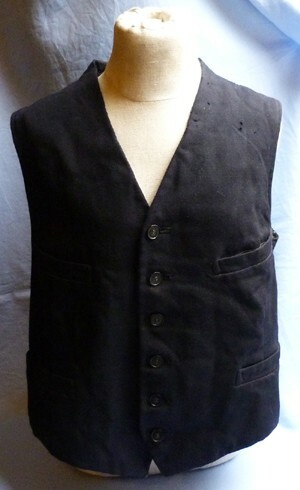 Unusual and rare WW2 German DAF (Labour Front) waistcoat. Original WW2 German DAF (Labour Front) waistcoat. With woven DAF symbol to the back of the waistcoat and DAF buttons. Unusually, the rear covering appears to be upside down - not sure why but it does not appear to be a mistake. Chest size is around 34-36 inches.